We are living in an interesting time for e-commerce in which just about any merchant has multiple avenues by which to market and sell products or services to reach new audiences. Social media has become a more lucrative arena in which to find target customers and share deals, sales, and more to earn more conversions. 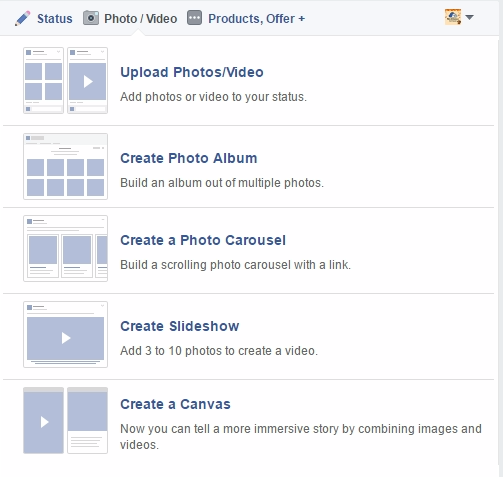 Facebook has become one of the top platforms for sharing product info as well as linking directly to products. #1 “Products, Offer +” Button: This status feature is what provides you with the many other options on this list; numbers 3-10 on this list become available by clicking on this tab. #2 Tag a Product: Clicking this icon under the ‘Status’ will open a new list menu asking “What products are in this post?” This is particularly helpful if you are introducing a new product in an announcement and want to link back to its page on your website. 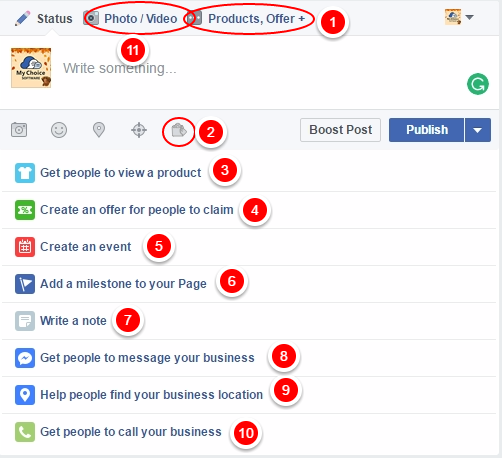 If you have linked any products to your Facebook page, they will appear in a drop-down menu for you to choose from. 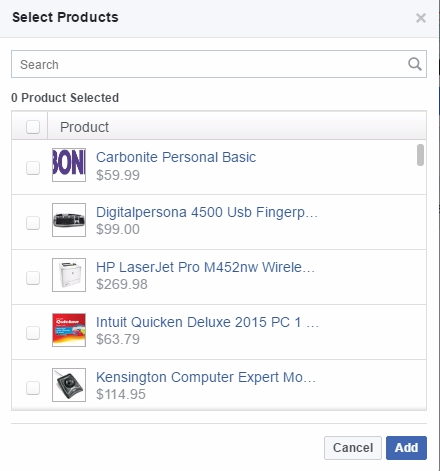 #3 Get people to view a product: By choosing this option, you’ll get a pop-up window to add products from your inventory list to add to your post; simply check the boxes for items you wish to display in your post and click “Add”. 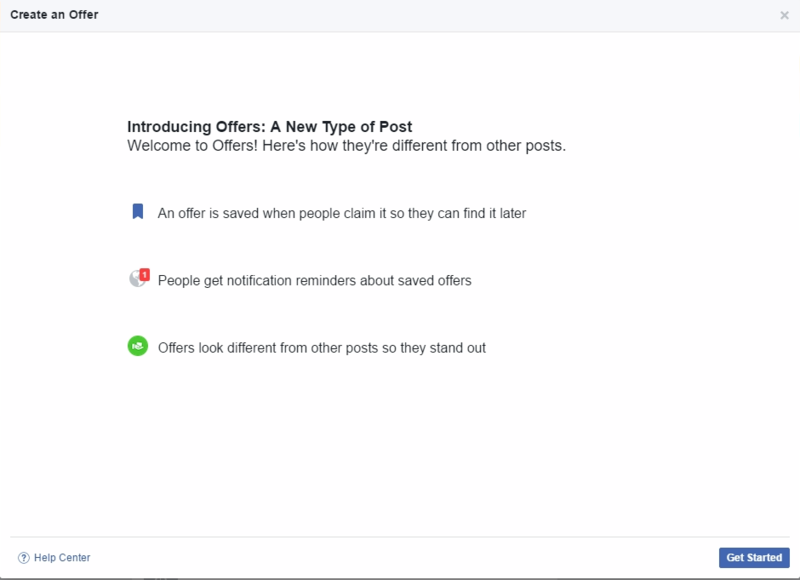 #4 Create an offer for people to claim: A newer feature that creates offers for products, services, and more that people can save, stand out, and notify people; click “Get Started” in the pop–up window to create an Offer. #5 Create an Event: If you have a physical location that you are the proprietor of or wish to hold an event at, inviting customers to events is a great means of having social engagement with your target audience and letting them get to know you as well. #6 Add a milestone to your Page: When you hit a new milestone in your company’s journey, you can celebrate with your customers by offering a deal or sale to commemorate the occasion. #7 Write a Note: Notes are a great way to add more content to your Facebook page that can be read at any time on your page without getting buried in a post feed; this is your chance to go into detail about specific products or services with additional links back to your website. #8 Get people to message your business: This option adds a call to action through your post or through Messenger to prompt customers to contact you about your post, namely about a service or product you are promoting. #9 Help people find your business location: Similar to the above option, this callout prompts people to get directions to your place of business if you have a physical location. #10 Get people to call your business: As the last of the trio of callouts, this option prompts customers to call your business regarding your post or offerings. For more information about how Business Tech Pro can help you improve your e-commerce experience, visit www.businesstechpro.com and contact us at (888) 326-6856 or support@businesstechpro.com for a consultation today!